The world is targeting a global warming increase of less than 1.5C by year 2100 but getting there requires changing human behaviour at massive scales. It is currently projected that there will be 10 billion people on Earth by 2050, all of whom need food, shelter, clothes, jobs, etc., and who will also become consumers of many other products and services, altogether generating huge pressure on global resources. But there is a way to become a sustainable consumer without sacrificing too much – and it doesn’t involve becoming a vegan! In January 2019, a commission of 37 academics from some of the world’s top universities presented their report on how mankind should approach its dietary habits in order to keep global warming below 1.5C, yet at the same time providing all people with sufficient and healthy nutrition. 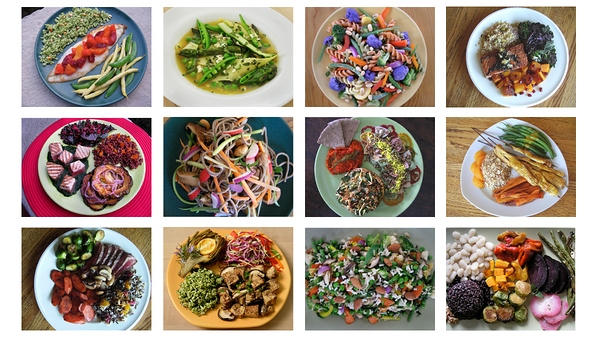 So, what does a „planetary“ diet actually look like if we were to follow the above guidelines? The good news is that it doesn’t force anyone to become a vegan, it merely suggests eating less of the bad and more of the good. For example, in a given week, you would be able to pleasure yourself with one beef burger, two servings of fish, seven glasses of milk, some cheese and butter, one to two eggs, lots of wholegrain cereals, pulses, nuts and vegetables. In fact, your daily platter would have to be at least half vegetable and fruit, a third wholegrain cereals, and one sixth all the rest. This theoretically perfect platter has been described to be relatively similar to traditional diets in many cultures around the world. So, if we want to bring on positive change to the world, it’s time to return to the roots again! Literally. As an additional benefit, cutting down on red meat and sugar will increase the wellbeing and lifespan of your health. According to the report, adopting this diet universally would avoid the deaths of roughly 11 million people per year. But do we really need to change our diets? One might argue that it’s industry and governments who should be making the changes in their habits, not the average citizen. Apparently, that is not going to solve our problems as food production is among the largest drivers of global environmental change by contributing not only to climate change, but also biodiversity loss, freshwater depletion, interference with global nitrogen and phosphorus cycles, land use changes and chemical pollution. Of course, fossil fuels are a part of the equation for creating a sustainable economy, but currently there is only so little an individual can do about it, whereas there’s a lot of responsibility and freedom for us on how we do our groceries... Next time we go to the supermarket, let’s spend more time in the fruits & vegs section rather than in the meats and sweets aisles!